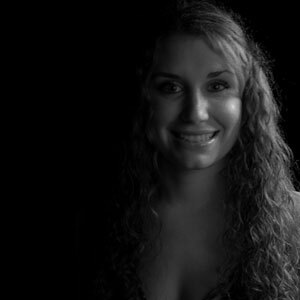 Laura has been an active Jazz and Soul vocalist in Norwich and the surrounding areas for the past 7 years. With a strong interest in song-writing, she wrote and performed a song on Radio Norfolk in 1999, when she was just 15 years old. Whilst at University, she performed live on BBC Radio Four to an estimated audience of 1.8 million, as well as at high profile venues such as the Boxford Fleece and 606 Club. Since graduating from the Colchester Institute of Music, her voice and passion have become highly recognised throughout Norfolk and Suffolk, now having regular Jazz gigs including the Assembly House, The Pelican Inn at Tacolneston and in the Beluga bar in Norwich. Laura also forms part of the up and coming female three-part vocal harmony Group 'The Voxettes' bookable via email (please refer to the contact section of this website). Alongside providing music for weddings and events, The Voxettes have featured on various Soul and Funk albums recorded by musicians such as Myles Sanko and Martha High (James Browns longest serving female singer). Laura formed part of the Stilhouettes who performed at Beluga, the Playhouse, Norwich Arts Centre, Somerleyton Hall and Bedfords. The group also featured on various artists albums such as The Shakedown by Speedometer and Norfolk’s Axel Loughreys new solo album. Laura's experiences also vary from performing in the 'Gospel Choir' at Goldsmiths, London, to a ten-piece salsa band called 'Son Salsa'. As well as being a professional singer, Laura is keen to share her passion of creating music and provides private tuition in singing and piano.